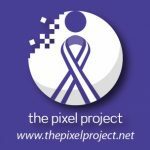 JANUARY 16th, 2019 (WORLDWIDE): The Pixel Project, a 501(c)3 anti-Violence Against Women non-profit, is proud to announce their 5th International Women’s Day (IWD) Edition of their “Read For Pixels” campaign featuring live Google Hangouts and in-depth interviews with award-winning bestselling women writers in honour of International Women’s Day 2019 and in support of The Pixel Project’s work to end violence against women. Participating authors include Alisha Rai, Alma Alexander, Brenda Jackson, Caroline Kepnes, Jen Williams, Jo Walton, Laura Anne Gilman, Leanna Renee Hieber, Lisa Shearin, Mary SanGiovanni, Molly Tanzer, Rebecca Roanhorse, S.A. Chakraborty, Sarah MacLean, and Victoria Dahl. 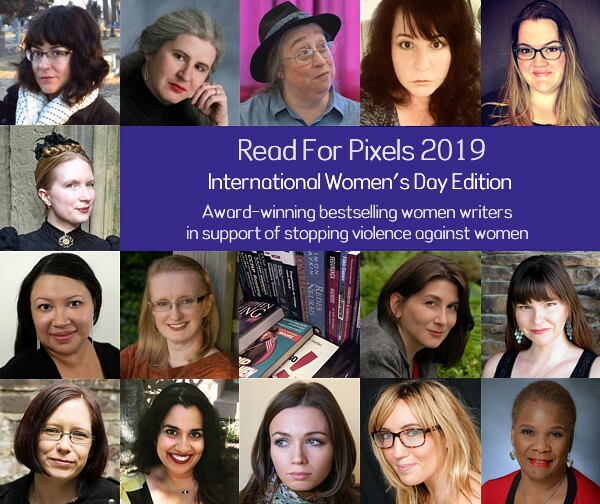 “Read For Pixels” IWD 2019 Google Hangout sessions will run on Friday, Saturday, and Sunday evenings throughout March 2019. Each session will feature an author reading from one of their books and discussing their writing, why they support ending violence against women, and women in the media, geek culture, and popular culture. Each session will also include a live moderated Q&A session for fans and book lovers to ask their favourite authors questions in real time. Participating authors have also generously donated a range of exclusive goodies to help The Pixel Project encourage fans and book lovers to donate to the Pixel Reveal campaign including: unique author-curated goodie bundles, signed first editions or book bundles, handcrafted items by authors, 1-to-1 Skype calls to talk about writing, tuckerisations, and more. Additional goodies are courtesy of Headline Books, Saga Press (Simon & Schuster), and award-winning bestselling SFF authors Alison Goodman, Fran Wilde, Juliet E. McKenna, Susan Dennard, and Tananarive Due. Donations begin at as little as US$5 and the goodies are available to donors as “thank you” gifts and perks depending on the donation amount. Fundraising will take place in tandem with the Google Hangout series over the month of March. Learn more about Read For Pixels at: http://bit.ly/Read4Pixels. The Pixel Project is a complete virtual, volunteer-led global 501(c)3 nonprofit organisation whose mission is to raise awareness, funds and volunteer power for the cause to end violence against women at the intersection of of social media, online communities new technologies, and popular culture/the Arts.